At long last, I have chosen a pattern, cast on, and knit the cuff of my first sock! 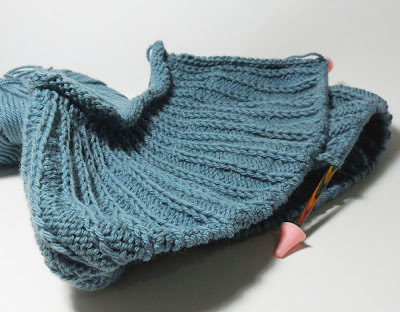 I bought sock yarn late last year, and my Mum bought me several pair of sock-size Knit Pro dpns for Christmas, but for some reason, the thought of actually knitting a sock intimidated me. 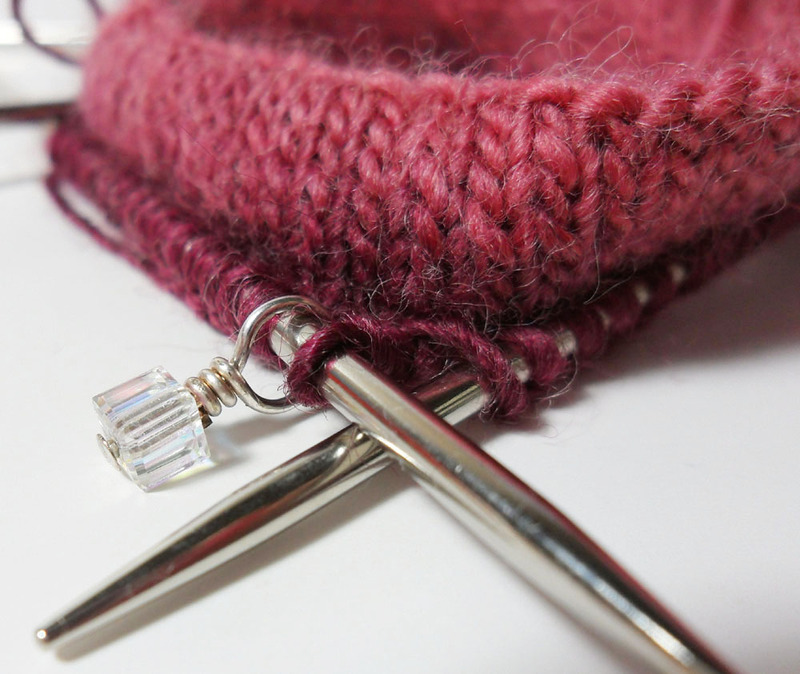 So late last night, I bit the bullet and cast on for 'Nutkin', a free Ravelry pattern. The yarn is Schoppel-Wolle Zauberball in the Blackberry colourway, and it's a beautiful yarn to knit with. 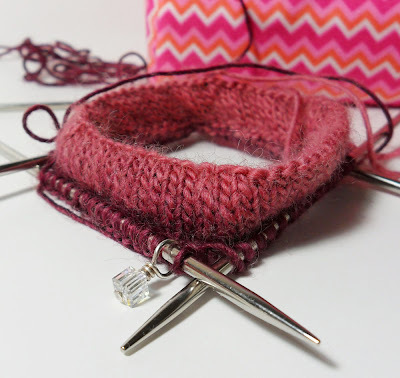 One thing about the pattern, (and this is my fault, because I don't read through a pattern before starting to knit) is the cuff. You knit five rows, purl one, then knit six, fold over and knit the cast on edge with the live stitches. I must say, that round was a bit of a white-knuckle round, but I made it, and am pleased with the result, although I think it may be a little crooked, I guess I'll have to knit a little more to see how well it has turned out. One of my other WIP is 'Radiate', which I'm knitting in Bendigo Woollen Mills 'Luxury' Lake colourway. I love this knit, and am wanting to have it off the needles soon, as the approaching winter is really starting to make it's presence felt!